I’ve shared a lot about what it’s like being a parent to children with SPD. One is an avoider of sensory input and one is a seeker and can’t get enough input in his bucket. He keeps emptying his bucket over and over throughout the course of the day. Whereas his brother after a long day of school has a bucket that’s overflowing and can’t take one more cup of input. This is when Mom becomes the referee and I need to separate my sons before World War 3 happens! I do my best to keep them emotionally regulated but it becomes a full time job and I wind up exhausted and depleted. Like my oldest son I also have SPD Sensory Defensiveness in particular. Loud, sudden high pitched noises bother me, more than one person talking to me at a time is like chaos for my brain and body. My central nervous system processes sensory input most of the time effectively. Then there are those days when the world is too busy, loud, bright, and overwhelming. Sometimes I feel so hypersensitive to the world around me I can hear the energy crackling like a campfire. Those are the days I put up my hood and read a good book with a cup of herb tea or escape to my bed with my soft, fuzzy blanket and put on my headphones and listen to my meditation music. I need comfort in those moments when my ears feel like they’re bleeding from listening to my children squabbling over the iPad while three different TV’s are playing in the background. I have to resist the urge to bite my fingernails with the anxiety I feel inside. All I want is to chew on something soft and rubbery like an eraser but I don’t because my kids have gnawed on all the pencils like a couple of beavers. In those moments when I feel like the world is closing in on me and I can’t breathe I rock myself gently and I sing. Whenever I was a little girl my Mom would hold me on her knee and rock and sing with me. She’d rub my back and give me deep pressure Mama bear hugs. I’d give anything to go back to those memories and pluck her out them so I could have her in my comfort zone. But unfortunately that’s not possible as she travels a heavenly path while I’m earth bound. My Mom never made me feel like I was wrong or different. She told me I was a special child of God and my “quirky” nature made me uniquely me. When I was a child I spent a lot of my time reading the Classics like Shakespeare, Dickens, Louisa L. Maycott, and Lucy Maude Montgomery. I related so much to those characters who thought out of the box and wrote stories and climbed trees like I did. The poetry and beautiful descriptive writing of William and Charles made me want to write like them and capture the worlds interest with my words. So I wrote getting lost in fantasy worlds, epic battles, and fascinating history. This is when the world was a quiet place as I scribbled away in my notebooks filling pages with my prose and poetry. I’m still like this as an adult where I require quiet time daily and my sons are forthright about asking for their private bubble to decompress in. The stress chemicals can build up throughout the day and we need to release them or end up sending our central nervous systems into sensory overload. No one wants that to happen so we give each other the space that we require. Now you add in a few more letters of the alphabet like ASD, ADHD, ODD, and OCD you’ve got a melting pot of hot soup that no one can handle. Those are the times where I ask my children what they need to make their bodies feel better. Or how fast is your engine using the zones of regulation, of which my youngest son has a thorough understanding of this concept. With my oldest son who has a better grasp on receptivity I have a diagram of a thermometer and I will ask him how fast his engine in his car is, and he can tell me or show me using the zone regulation colours. Sometimes are tempers are short, our explanations are long winded, and our bodies not regulated and we react to the stress and pressure of the hot soup and we blow up. That’s when it’s important to remember forgiveness and our brains are just wired a little differently. It’s amazing what love, a deep pressure hug, and a cup of hot chocolate will accomplish when words fail to save the day. That’s when I feel that even when SPD appears to be a foe when dealing with the chaos and it’s just too much ; I take that moment to breathe letting myself inhale the positive and exhale the negative and realize that it’s my friend after all guiding my family and I to better days ahead filled with love and patience. This is an excellent description of life with SPD. Thank you. I don’t happen to have it, although, back when I did such things, I would tend in that direction under the influence of pot. Maybe there’s a clue about it in that. 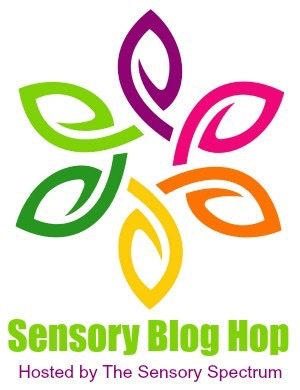 I will be following the Blog Hop – great idea. The Reblog button doesn’t seem to be working right. I’ll try it again later. What a sweet, sweet, honest post. Our families are very similar but you’ve got some great strategies I’ve never thought of…and you somehow find time to read and drink herb tea: yay you!!!! Great strategies! I just have the one son, but he swings from under to overstimulated regularly. At least he doesn’t usually fight with himself 😉 I have often wondered if I have SPD as well – I suspect I do but I also deal with overwhelm by hiding in the bedroom with a book.